Killtown Death Fest » Announcement #29: first Euro show of ASCENDED DEAD (us) ever! 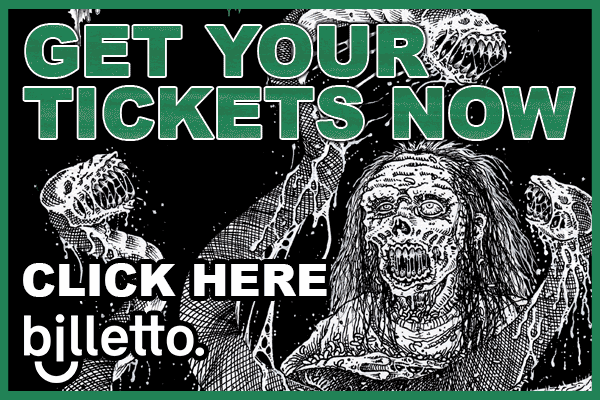 Announcement #29: first Euro show of ASCENDED DEAD (us) ever! Tonight we are excited to present another fairly young US DM band that also has never performed on this side of the Atlantic Ocean. After their first demo they got picked up by Dark Descent Records and last year released their debut full length which was well recieved all over the board. Therefore we are thrilled to announce that ASCENDED DEAD will play their first ever European show at KTDF 2018!!! Ascended Dead is a Death Metal band formed San Diego, California in the summer of 2011. Influenced by the likes of Possessed, Necrovore, and Hellhammer, the band put out its first demo in 2012. After a number of performances, in 2014 the band released the 4-song 7” EP “Arcane Malevolence”, which showed a musical growth. In 2017, the band put out its first full length, “Abhorrent Manifestation”, 10 tracks of demonic ferocity on Dark Descent Records. Treading forth into 2018, Ascended Dead continues forth with a new line-up and new songs that are more violent than ever. 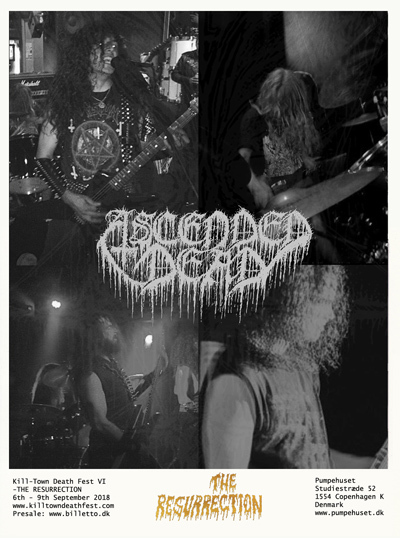 Ascended Dead can be described musically as taking the sonic and spastic insanity of Immolation and Incantation and injecting it with a strong dose of cavernous war metal. Ascended Dead’s style is an unholy mixture of speed, technicality, and the desire to inject as many riffs per minute as inhumanely possible. The songs feel like speeding, runaway trains flying by at ungodly speeds, though instead of feeling disorienting, the band’s technical skill and savagery translates to thrilling tunes that necessitate further spins to unravel.